Chat: Use it, don’t abuse it! 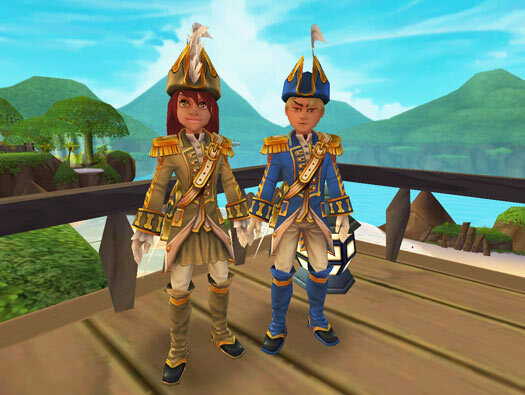 Chat is an important part of any online MMO, and today Mr. Lincoln from Wizard101 Customer Support has some helpful tips to keep you and your character safe and out of trouble! Chat is a feature of online games that many players find extremely rewarding. It can assist you in making new friends and form groups to quest for adventure in online worlds. Chat in KingsIsle games, however, is a privilege and should always be used with judgment and caution. Choosing your words carefully is very important when online! It can be difficult to understand someone’s tone of voice when they are online, which can lead to communication problems. Choosing to be sensitive to those around you is a great way to approach chatting with others in any game. When playing online games, you will run into all kinds of people. Some you will like to chat with, and some you just won’t. Remember, in our games you always have the “Ignore” option to ignore someone or you can escape them by switching to a new realm in a flash! Rather than getting into an argument or picking a fight, it’s really quite easy just to move on and talk to other people you enjoy. We also appreciate you reporting any inappropriate chat using the in-game reporting tool. It really works and it helps us quickly identify and investigate chat to see if it fits into our guidelines and rules. Another very important tip is to NEVER, EVER give your password to ANYONE for ANY reason. A KingsIsle employee will NEVER ask you for your password and you certainly shouldn’t be sharing it with anyone else. If or when your account gets hacked due to you sharing your password, the account can be permanently muted or banned depending on the hacker’s actions! That kind of risk just isn’t worth it. So if anyone ever asks for your password, just say NO. A good rule to follow is “Just because you can say it, doesn’t mean you should”. Again, chat is a privilege in our games, not a right. It can be taken away if you choose to expose other players to vulgarity, inappropriate language or harassment. When you play online we’re all about having fun, but never at the expense of others. Being kind to other players can pay off by meeting some really nice online friends. If you are lucky enough to play with family members or real life friends, definitely consider using True Friend codes. You can give these to the people who are really special, but always use your best judgment. If ever you should need assistance with your chat features (or any other issue) you can write to Customer Support at help@KingsIsle.com. Following the rules makes for a happy gaming experience for you, and for all the other players around you! ← KingsIsle Takes a Field Trip to the Library! like all of us said, never abuse it! and ignore the people who abuse it 🙂 never ever abuse it! lvl 74 cant stay away!!! Love it. I don’t know why Kl has it to were people can report, everyday there’s that one person that just false reports everyone they see. Plus there is a thing called ignoring people. Its really not that hard to ignore someone and be done with it. Wizard 101 this game is the most coolest games that I ever played in my life and I cant stop playing it and thinking about it. I think Privateers are underpowered.Can you give them Repel Boarders earlier? yeah I got in a bit of trouble and paid the price but I think they went a bit overboard by deleting every single friend I had on each character. Suggestion: At bazaar list items to purchase alpha by object dash description.. (ie: Chair – padded, Chair – highback, etc. This way all chairs are grouped together. Also a left margin would be better than a center margin. These suggestions would be better for eye flow and would speed things up enabling character to get back to quests, battles, etc.